If anyone wants to learn about the day to day process of building a startup feel free to join Guessbox on Slack(check out http://guessbox.io/). startupstudygroup.slack.com: A very cool group for all of those that love talking tech. It’s run by the super lego guru Charles Jo. 2. ios-developers.slack.com: A great Slack community for iOS devs. 3. hashtaggaming.slack.com: For all of those that are serious gaming addicts. 4. frontenddevelopers.slack.com: Chat with other FED’s, learn inside tricks. 5. angularbuddies.slack.com: A mix of Angular newbies and pros. Join the discussion. 6. reactiflux.slack.com: For all things about React. You can also join them here on Discord. 7. https://chat.aff.io/: The group for all affiliate marketers to go to. 8. embercommunity.slack.com: All about Ember JS. Very cool and niche. 9. larachat.slack.com: Talk to people that are into Laravel. 10. slashrocket.slack.com: Chat about your web development here. 11. learnjs.slack.com: Learning JS? Jump in here. 12. chiangmai.slack.com: For all of those cool peeps (nomads) living in Thailand. 13. hashtagtesting.slack.com: The home of quality assurance and testing. 14. thefestivals.slack.com: Fun festivals, with fun people. 16. phpnl.slack.com: Do you code in PHP? You might want to check out this lovely group. 17. node-js.slack.com: Love Node JS? Everyone here does too. 18. gophers.slack.com: Join the community full of gophers (aka Gopher Academy). 19. teamsketch.slack.com: A community for Sketch designers. 20. productmanagerhq.slack.com: Let’s talk about product with other product managers. 21. techbloggers.​slack​.com: If you’re a tech blogger like me, jump in and meet the community. 22. techasia.​slack​.com: Join the tech in Asia community. Perfect if you’re a startup in Korea, China, Singapore etc. 24. rubydevelopers.​slack​.com: The Ruby on Rails Slack community. Learn and make new friends. 25. bootstrapped.​slack​.com: Meet other boostrappers. It’s hard running a bootstrapped startup — get support and help from other cool people. 26. onlinegeniuses.​slack​.com: If Albert Einstein was alive, he’d be in this group. 27. foundedx.slack.com: All countries in the world have their own unique advantages and characteristics. Starting a business in each of these places requires exceptional courage and persistence. The lists presented by Founded X are a tribute to all innovative startups that are proud of their local roots. 28. tankstreamlabs.slack.com: Tank Stream Labs is a beautiful co-working space in Sydney. Come say hi! 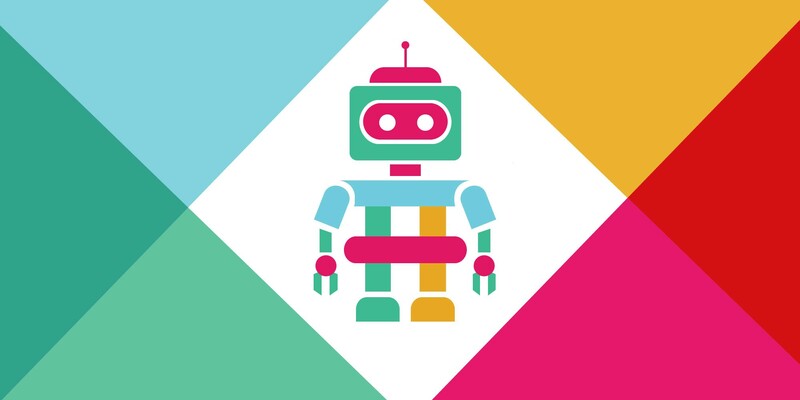 29. techlondon.slack.com: The place for UK startups to hang out. 30. dctech.slack.com: The DC startup place to network. 31. inbounding.slack.com: For all of those inbound marketing gurus. 32. mindtheproduct.slack.com: Just passionate people that are crazy about product. 33. uplabschat.slack.com: Chat about design, development and get feedback. 34. growmance.slack.com: A marketing Slack group that is run by Audienti. 35. marketer.slack.com: Share your marketing tips and hacks here. 36. womeninsales.slack.com: A great supporting community led by women in sales. Share your secrets, learn from each other and have fun. 37. bombaystartups.slack.com: If you’re a startup in India, this group will definitely be of interest to you. 38. failup.slack.com: Students, entrepreneurs, devs and changemakers share feedback and opportunities. 39. orl-tech.slack.com: The place for Orlando Developers to chat and support each other. 40. chewonthisstory.slack.com: An amazing storytelling community that is run by Cici Woo. They do storytelling in VR (wowzas). About me: Hey, my name is Luke Fitzpatrick (@iamwormify) … I’ve worked in startups in Seoul (South Korea), and Sydney (Australia). I’m running a fun experiment on ghacklabs — you can get help with you startup via ghacklabs. Just ask one question, and if you’re happy with our answer, then pay $1. We are not doing $1 startup consultations to make money per se, we’re doing it for a few different reasons … We believe that everyone deserves a chance. All of the data, will be used to create a book. And, ghacklabs will become both a platform and a marketplace housing some very cool things for startups (stay tuned). Check out our Startup Essay Blog.